A New Year with New Products! Hello everyone! I hope you had a wonderful holiday season filled with fun, friends and family. I spent the entire month of December sick, sick, sick!! I had a sinus and throat infection that would NOT leave despite 2 treatments with penicillin. it certainly did not help that I was so busy I couldn’t get the rest I needed. So that is exactly what I did during the holidays – I rested. So needless to say, absolutely no stamping or creating was going on in my life during the last month but I did manage to find some energy last week and get back to it. There were SO many new and wonderful products that had been sitting unopened on my desk for a month!! It definitely felt good to craft and I can’t wait to share it all with you – let’s get started!! This card is FULL of wonderful pretty new things!! First I used the new Tea for Two DSP series pack found on page 3 of the 2013 Occasions Catalogue. I also used a paper doily (page 5) to soften up the background and the wonderful new Delicate Details Lace Tape (page 3) on the bottom. I LOVE that stuff!! It’s beautifully soft and ornate and is sticky on one side to make it user friendly. Some other new products used include Core’dination Cardstock in Primrose Petals color which is textured and sandable – so fun!! 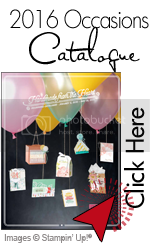 You’ll find this and other colors of cardstock on page 12 of the Occasions Catalogue. Also featured on this page and my card is a new embellishment – the Designer Builder Brad. It’s very light and quite flat making it easy to use on projects. Any image or color can be punched and placed in the center of the brad with an epoxy bubble placed over top the image completing the look. The new Create with Connie & Mary: Spring Edition 2013 is starting very soon and I am a design member! How cool is that!! All this week, we will be introducing the talented guest designers so visit the CWCM site each day this week to hear from them all! This Create with Connie & Mary: Spring Edition 2013 offers 30 INCREDIBLE ideas seen ONLY as a subscriber to our edition! EACH project comes with a full downloadable tutorial making it is easy to use as a class or for your personal use. And how much is all this? Well the early bird special is $29.95…that’s $5 off the regular subscription price of $34.95!!! That around $1 an idea. Some tutorials cost that much for just one and we have 30 just for YOU!!! So don’t wait…the early bird special only lasts until January 19th! Come check it out!! 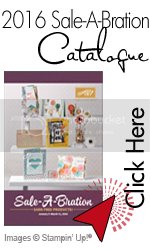 What is new at Stampin’Up!? 1. Get the Sealed with Love Simply Sent Kit FREE—a $9.95 CAN value—when you buy the brand-new My Little Valentine Stamp Set! This four-piece stamp set, created exclusively for this promotion, contains the perfect sentiments to express your feelings for your children, spouse, girlfriends, or mail carrier! 2. Purchase the Valentine Treat Bundle—complete with the brand-new Happy Valentine Heart Single Stamp and the cutest little treat bags ideal for all of your precious valentines. Even better, the brand-new Happy Valentine Heart stamp coordinates perfectly with the Full Heart Punch for fast and easy creating. Both of these offers—and the exclusive stamps—are only available through January 21, so visit my online store today to take advantage of these limited-time offers!